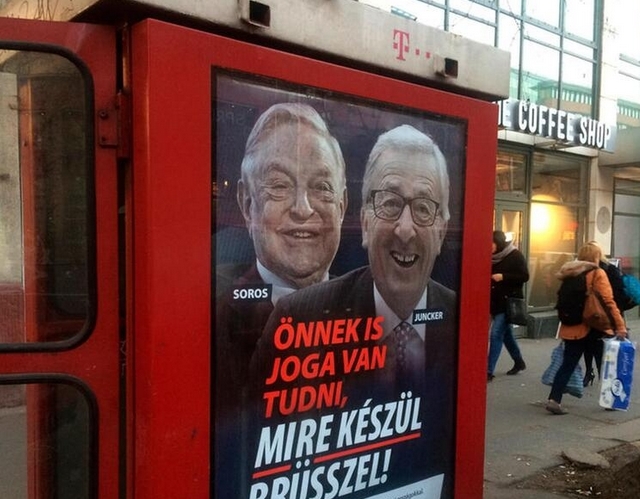 Hungarian-American financier George Soros and EU Commission President Jean-Claude Juncker above the caption “You have a right to know what Brussels is preparing to do!”, in Budapest, Hungary. Battle lines are drawn between anti-EU populist forces and traditional parties at the beginning of a three-month election campaign that could turn into a tipping point in postwar European history. The May 2019 EU elections has already produced unprecedented abrasive campaigning. The EU parliamentary election is run as national ballots in 27 member states. National political parties with common ideology then unite in EU-wide groups like the center-right EPP, the center-left S&D Socialists and the liberal, pro-business ALDE. 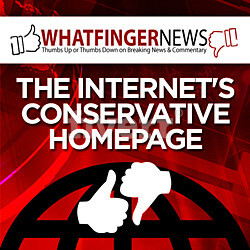 Over the years, the major political groups started looking at adding unattached national parties to expand their bases. Even if these newcomers might not be as close to their core values, they still could boost their seat totals in Parliament. Some factions, however, have developed sharply contrasting agendas within their groups and can vary as widely as the geographic spread from Finland to Hungary to Portugal. Some could now splinter off — like Orban’s staunchly anti-migrant, right-wing Fidesz party — weaken the center and reinforce outer extremes. The EPP, for example, welcomed a populist Italian, Silvio Berlusconi, two decades ago. Orban’s Fidesz party followed soon after. Other groups also face similar internal trouble — the ALDE with populist Czech leader Andrej Babis, who has been accused of misusing EU farm subsidies, and the S&D with Romania’s Social Democrats, who critics say are weakening the judiciary’s fight against corruption. But nowhere has it produced political fireworks like at the EPP. Orban was first embraced for his anti-Communist credentials but over the years turned into an anti-immigration populist calling for an “illiberal” society with autocratic leadership, something that increasingly jarred with EPP values. It came to a boil over the past month when Orban fired up his anti-Brussels rhetoric portraying Juncker as conniving to keep nations like Hungary under their thumb and opening EU borders to all migrants. He plastered Budapest with posters showing Juncker as a gloating force of evil. JOURNALISM: While national media carried water for Jussie Smollett, local media did it right.